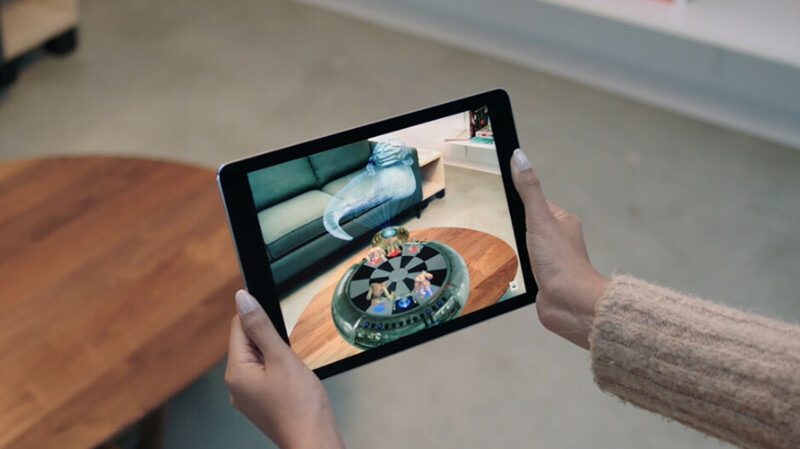 Apple’s affinity towards Augmented Reality is no secret, after all, we’ve seen more than a few demonstrations of its devices using AR for various purposes, from measuring distances to playing games. What Apple keeps closely hidden under wraps, however, is its rumor AR glasses project. While we’ve seen hints that Apple is working on the project, from important hires to company acquisitions, there were no official signs that something big is coming in that department. It appears that Apple is now ready to be more open about its AR products, a switch in the company’s structure, reported by Bloomberg, reveals. The change was spotted on the LinkedIn profile of Frank Casanova. The new role assigned to him by Apple makes him “responsible for all aspects of Product Marketing for Apple’s Augmented Reality initiative”, according to his own words. Since he is quite an important asset for Apple, this means that the "AR initiative" is becoming one of the company’s main priorities. If the name of the employee doesn’t mean anything to you, here’s some info about him. Casanova has been with Apple for literally decades and one of his main contributions to the company was when he was responsible for arranging the deals with mobile carriers that wanted to sell iPhones. You know, the ones that made iPhones seem not as expensive as they were. Don’t get excited yet, however. If Casanova is just taking the reins of AR marketing, that likely means that the first product release is at least a year away. After all, marketing strategies for products as important as Apple’s aren’t created in a week or two. According to rumors, besides the dedicated AR headset, the company is also working on giving its iPhones more capabilities with a dedicated AR camera for the 2020 models. AR initiative sounds like something that will cover a broad spectrum of products. If that is the case, Apple might finally get back at the forefront of innovation, something people have been waiting to see for a while. AI or voice is going to go hand in hand with AR/VR/MR headsets. That is a guarantee, especially when you don't want use or carry anything else in your hands, or make any hand gestures, when all you have to do is start an app or setup something with a simple voice gesture. The other thing is when articles like this show AR, they will show you an iPad with AR, which is going to be completely different to an AR headset. As a matter of FACT an AR headset is closer to VR than every, especially if you want an AR headset. Both VR and AR headsets share the same dual or split screen design, plus you have to draw and calculate for two displays or two split views on one screen (right and left eye). Plus there is NO touch screen interactions for AR or VR, since there is no screen to touch. It will be interesting time in the near future.